When is a carport not just a carport? When it can double as an alternative entertainment area, as evidenced by this Canberra carport, built by Mr Carports. Protection for their car was the first priority for these Canberra householders and with good reason. A car is for many of us one of our most expensive assets so it pays to look after it. This carport does a great job of protecting the car from the elements, including the rain, sun and frost. All of which is pretty handy for us humans too! But this Canberra carport is something of a chameleon. When the family or friends come around and the householders need more space, they simply move out the car and move in the BBQ and the outdoor furniture. With this in mind, a timber screen was added to the side of the carport. While the screen provides increased protection, its main use is to offer better privacy from the neighbours. The screen also adds to the attractiveness of the carport. The carport come entertainment area was built using a timber structure, topped off by Colorbond roofing. 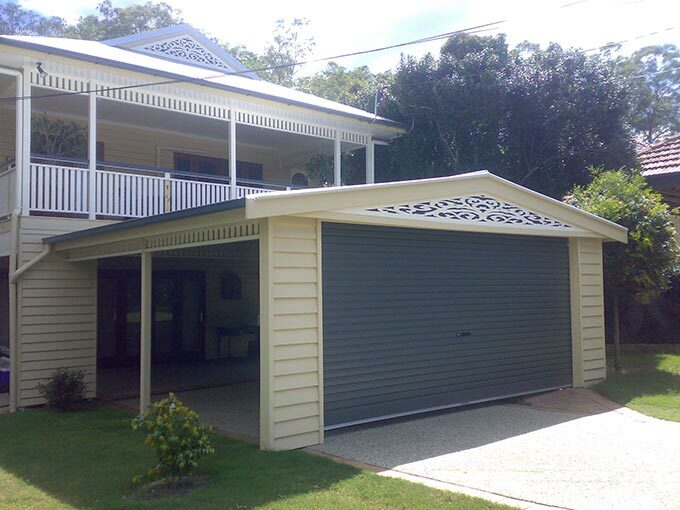 Colorbond roofing sheets are a great choice for carports, and for that matter any outside structure. They are incredibly durable, corrosion-resistant and resilient. The paint (you can choose from 22 colours) is baked on, which means it will look just as good in 10 years as it does when it’s installed. So, with a little maintenance of the timber structure, this family will be enjoying many years and decades of protection for their car, as well as entertainment and relaxation opportunities. 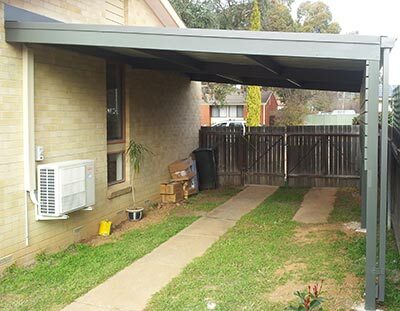 For more information on building a carport in Canberra, see our Canberra branch page. For more information on the advantages of Colorbond roofing, see the Colorbond website.